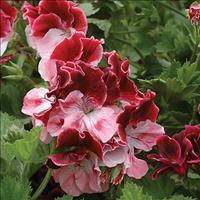 Regal, or Martha Washington, geraniums originated in England in the 1870's. 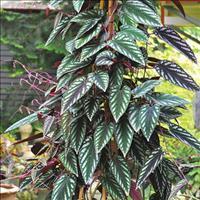 This variety has large flowers of strawberry and cream that bloom in spring and early summer. After bloom, keep in a cooler spot, protected from rain.